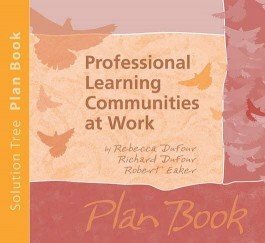 This plan book combines 40 weekly planning pages and space for eight class periods with ideas and activities to help teachers and their collaborative teams work together to address crucial, teacher-specific PLC concepts. It presents essential school improvement tips and inspirational testaments to last the entire academic year. Get an overview of the three big ideas that shape a PLC, cultural shifts that schools can expect, and keys to building high-performing collaborative teams. Use forms and reproducibles to work with teams more effectively and to collect and organize information about students and classes. Equip yourself with 40 weeks of planning pages, which include activities to inform, inspire, and challenge you as an educator. Gain a list of professional development opportunities and resources for further study. Implement critical PLC concepts into lesson plans that focus on learningfor both students and adults.